Drivers - Fernando Alonso (Ferrari), Kamui Kobayashi (Sauber) Vitantonio Liuzzi (HRT), Felipe Massa (Ferrari), Jarno Trulli (Team Lotus) and Mark Webber (Red Bull Racing). Jarno Trulli: Yeah, it’s true. It’s always been like that. It’s nice to be in Italy but I actually don’t live in the north of Italy, I actually live, I come from the centre of Italy, so from Abruzzo, so I don’t have a special, special feeling. Obviously, it’s important, it’s nice to be in Monza, also because Monza is special, the atmosphere is special for every driver not only for an Italian one because we’ve got the Italian supporters, the Ferrari supporters – the tifosi – so that makes this event special. For myself it’s nothing different compared to any other race. Q: What has changed for you is the power steering. First of all, can you tell us why you didn’t have it in Spa but also why has it made so much of a difference? JT: For me it makes a lot of difference because I can actually feel the car and get the exact car behaviour, which I didn’t have with the old one. I was pretty much a passenger before rather than a driver. With the new one it’s normal power steering. It works as it should but unfortunately in Spa we couldn’t use it for technical reasons. It’s back here and I just hope I can keep it for the rest of the season. Q: Are those technical reasons likely to prevent you from using it again? JT: We might have to probably jump another race but at the moment I just want to concentrate and focus on this one. Q: Kamui, first of all I think you mentioned in your preview that you raced here a lot in Formula Renault Italia when you were racing in that championship? Kamui Kobayashi: I had quite a lot of experience in Italy, I think I lived here for two years as well, so I have always good memories of Italy and the greatest feelings here as well. Q:You’re also expecting quite a difficult race here, why is that? KK: Well, I mean it’s Monza, it’s always a low-downforce track but I mean for us, even last year we had no competitiveness here. OK, like we had Monza spec wing but usually we struggle a lot over the kerbs, we struggle a lot usually, more that at other tracks. In Monza it is very important about kerb-riding. We mentioned a little bit of a difficult week but last year we [qualified] like P12, which was not too bad, so hopefully this year we can have a race, because last year before the start I had technical problems with gearbox or whatever and I couldn’t start, so we’ll see this year. Q: So, once we get this race over with do you expect to bounce back a little bit to where you feel you should be? KK: Well, I mean this week, I’m quite competitive and not so negative because we have, I believe, our package in Monza is not too bad and from last year our experience was OK. We have a few updates, so, we’ll see. Q: Tonio, first of all, I believe you have a special helmet this weekend; can you tell us about it? 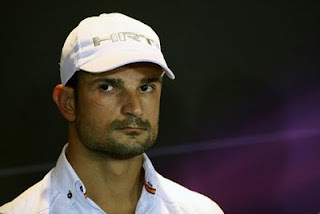 Vitantonio Liuzzi: Yes, in a way it is a little surprise for our fans for the Italian Grand Prix. For me, it’s always a wonderful feeling to be at a home Grand Prix. Before, I started my Formula One career in Imola at another Italian Grand Prix but it is always a great feeling to be here in Monza: it’s an historic circuit; it’s a great race and that’s why for every Italian GP I try to make something different to thank my fans and to remember especially this year that it is the 150th anniversary of Italy, so we did a little new design with my designer, Kaos Design, that always is the inventor of these ideas, and I hope the fans will like it. Q: How important do you think it is that the Italian Grand Prix is in Monza rather than… following the stories about it being in Firenze or Rome or Pescara or somewhere? VL: Monza is the only really historical circuit that Italy has left, one of the few at least, and because of the long history I would especially keep this circuit because it is quite different to all the other circuits in F1, this season especially. It makes everything different. And I think every driver likes it because it is the only circuit with such a top speed and low downforce, so at the end of the day it is good to have the grand prix here, even though we have circuits like Imola and others that could be competitive – but I like this circuit because it is different. But at the end of the day that’s how it is. I’m sure Mr Ecclestone will keep on going with the Italian Grand Prix as long as possible and hopefully it will be here in Monza. Q: And finally, the team seems to be on a much more stable basis, how has that affected it from your point of view? VL: I have to say that the team has made a good step forward in terms of stability – as you said that we improved. At the beginning everybody wasn’t sure, there were a lot of talks about the rest of the season, continuity, things like that. The Carabantes did a really great job before but now with the new owners, Thesan Capital, there seems to be a big future for the team, they are planning to make a big step forward from next year on. At the moment, also because of this change of owners, we had a bit of a slowing down in terms of development this season, because all the upgrades we were planning didn’t arrive in time and we are maybe one or two months behind the schedule but the big project is for the future, for 2012 and I have to say the new owner Thesan are planning big things for the team. I hope we will move forward as soon as possible but we are planning highly for 2012. Q: Mark, even this morning people were still talking about your overtaking manoeuvre with Fernando at Spa. Now you’ve had a look at it from a different angle, what did you think of it? 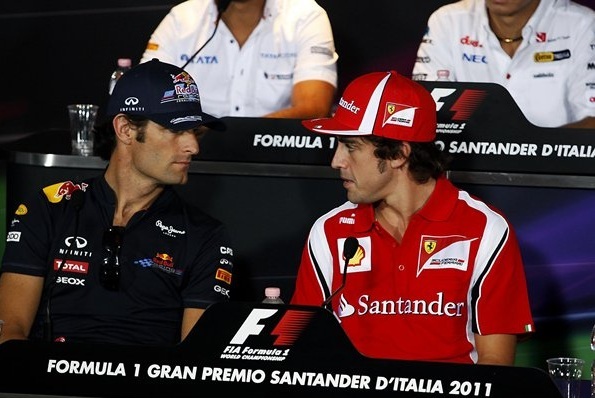 Mark Webber: Ah, it looked closer on TV than it did in the car, to be honest. Yeah, as I said at the time, I had some momentum and I didn’t know… I mean most people were comfortable on the out lap through Eau Rouge but I didn’t know how comfortable Fernando would be so I probably would have had to wait and see how it went but I thought ‘well, I have a chance, I’m up to speed, let’s see how it goes’. So yeah, it worked out OK.
Fernando fought hard and fair and as we’ve had many sensational battles in the past together and that’s what it’s about. Extremely rewarding. That day it went my way; there’s been many days it hasn’t gone my way and Fernando’s had it, so it was good that it turned out OK.
Q: What about this circuit? The team was quite nervous before the start in Belgium, what about this circuit? MW: Spa’s given us a little bit of confidence. We were a bit more competitive in the first sector and the last sector in Spa where traditionally we haven’t been. The track here, yes it’s quick but it does have some different demands to Spa in terms of the way the profile of the corners are and obviously there’s some kerbing as well. So we have some confidence after Spa but we’re not coming here thinking we’re going to be in amazing shape. We’re going to be competitive. Ferrari and McLaren will be quick again so Spa just gave us a bit of confidence to come to this venue and maybe do a bit better than we probably would have been able to if it was the other way around – if Monza was first we might be more nervous. Q: Does it surprise you when you actually overcome circuits where you’re not meant to be doing well? We’ve had one or two this year and yet you always seen to have done extremely well as a team. MW: Yeah, but we got beaten on the tracks where we should have won. Fernando dominated Silverstone, so it’s been a bit different this year, that’s the way it’s been. Let’s hope it’s the same here again and we’re quick and competitive but then can pick our performance up on the tracks where we should be better. Q: Fernando, obviously a previous winner here, you’ve been talking about your memories of a year ago, particularly about what it’s like to be a Ferrari winner at Monza. Fernando Alonso: It’s very special obviously, as Jarno said before, I think racing at Monza is special with any team because Monza is a very unique track – the highest speed we will reach in the Championship again this year and it remains a very special track for us. Not only for the layout, for the proper speeds that we reach here and the atmosphere and the fans and the place the circuit is in. 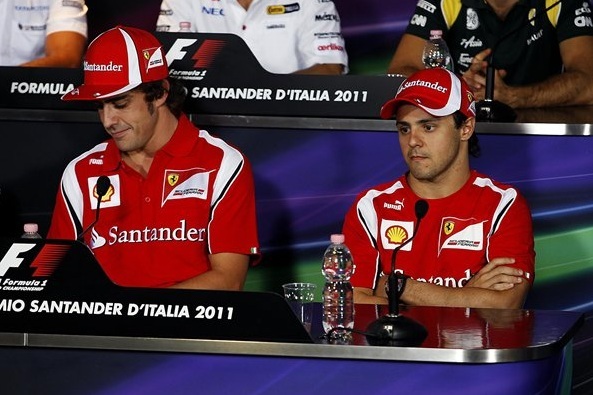 It’s a good place and obviously winning for Ferrari last year was an amazing feeling. We call them tifosi for all the passion people in Italy feel for Ferrari and it was great and obviously the aim, the target for this weekend, is again to do well, to enjoy the race and make the grandstand also enjoy the show. Q: Stefano said that the team will do everything they possibly can to win and while I’m sure they do that every weekend, what does it mean from your point of view? FA: I think there is a special atmosphere, a special motivation this weekend for all of us, starting from the mechanics and the engineers, they have their families in the grandstands, they have people they know in the paddock and it is a race…. We all do 100 per cent every weekend we go, but here in Monza there is this extra care in everything we do and we want everything perfect, from tomorrow’s practice to Sunday. So I’m sure that all of us will make an extra effort to do everything perfect this weekend. Q: How important are the track temperatures? We’ve heard a lot about track temperatures, and I’ll ask Felipe the same question, but obviously you must happy that it’s meant to be warmer here? FA: Yeah, it should be OK. It should be better for us. For different reasons it seems that our car struggles a little bit with cold track temperatures and we had quite a difficult summer with four or five consecutive races that it was damp, it was raining, it was very cold and we took a little bit of time after the pit stops and in qualifying especially to get the performance out of the car, so it’s good to know that here it will be a little bit warmer, but we don’t know exactly the performance change. As Mark said before, I don’t think there will be anyone in a dominant position this weekend. 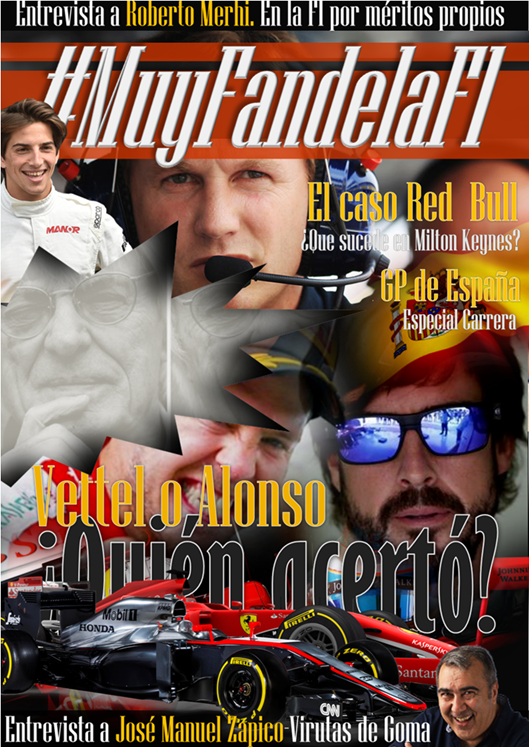 It will be a very close battle as it has been in the last couple of race, with McLaren, Red Bull and Ferrari. Mercedes, I guess, will be also very quick here with all the long straights, so it’s going to be an interesting weekend and we have to do everything perfectly if we want to be at the front. If not you can be seventh or eighth very quickly. Q: Felipe, where do you see the hierarchy? How do you see it? Felipe Massa: As Fernando said, it’s a different circuit, so here, you know, it’s important to have a good direction: a good top speed, but also a good car over the kerbs. I hope we can put everything together, even the temperature in the middle can help us to be a little bit stronger and fight as we did last year. Q: And how much does all that support mean from the tifosi? What does that mean to the drivers? FM: It does a lot, for sure. Being at the home grand prix is always special. We have an extra power from the people. I won two races in Brazil and the power from the people helps. It gives a lot of support, a lot of confidence as well. And here it’s the same. By being here and looking at everyone in red pushing us to the front is very, very special and I hope we have another good weekend like it was last year. Q: Stefano has mentioned that you’ve had a problem with the tyre temperatures for maybe a decade he even said. I don’t know if you agree. You’ve been there quite a long time. FM: I agree. For sure, we’re struggling on the core temperature. This year we had many races… even in Hungary it was 15 degrees and even wet. So we’re working very hard on that. But anyway, let’s think about this weekend and I hope the temperature helps us and it is on the direction we wants as well. Q: (Alex Popov - RTR) Gentlemen, a question for all of you. It’s about Monza, but from a different point of view. We all know the stories, the atmosphere, the high speed. But purely from a driver’s point of view, is it interesting to drive, like Spa or Suzuka? VL: It’s quite different of course. It’s not like Spa, that I think every one of us loves. But, from my point of view, it could be much more interesting than a lot of new different circuits that have a different shape, but Monza is beautiful because even though there are just five or six corners, not many, but all the corners are crucial for the lap time. Even if it’s a simple chicane, it has such a long straight after the chicane that you really need to be precise and sharp to have the best exit out of it. So, at the end of the day it’s different. It might seem less interesting than other races but for the driver it’s really difficult to achieve the 100 per cent lap every time in qualifying and in the race. That’s why it makes it really hard in that even if you do have a lot longer time between the corner to think about it or relax. JT: I do agree. It’s still an interesting circuit. It’s very different from Spa. Spa is the best in the world. It’s a challenging and technical. Here it’s not the most technical even though it has some technical. But still, you’ve got to know where to put your tyres in order to get a lap time around this long circuit. There are some crucial corners or corner exits, which are really important in order to get it right. FM: Monza is definitely different to the other tracks, not just because of the long straights, but from a driving point of view you have low downforce. By having the low downforce to be quick on the straight, it’s also true that you have very strong braking. With low downforce the grip is not normal like at other tracks where you have higher downforce and very strong grip and braking. Here you have a little bit less. But you also need a good car over the kerbs. For sure you have less corners than a normal track but it’s also not easy. You need to put everything together. You need to have a good car in terms of speed and braking and over the kerbs. This is a part of that. It’s very special to race here because of the history we have on this track. The people – the love of motor racing is completely inside. Q: You’ve reminded me of another question I wanted to ask. You’re going to be running minimal wing here, so how important is DRS going to be? Is it going to have much of an effect? MW: It’ll still reduce the drag of the rear wing, so the speed will increase. Obviously less than a full wing, like maybe Silverstone or places like that. But, it’s going to work. We don’t know how effective it will be against the opposition because we don’t how quick they will be. So it’ll work but probably a bit less. But it’s all relative. All of us will have less, it’s not like it’s not going to be as powerful potentially so… as with most times this year we only learn after Sunday night if the DRS was set to conservative, like in Barcelona, or too aggressive, like in maybe Turkey and Spa and places like that. But it’s very difficult to get it right, for the organisers or for the loops to understand how powerful it will be. Q: (Adrian Rodriguez Huber - Agencia EFE) Fernando, you’ve won here twice. Once for McLaren in 2007, which wasn’t maybe your happiest year and last year with Ferrari, a team you’ve declared yourself in love with. How different were those two wins here? FA: They were very different. Much more emotions last year because it’s not only the Sunday race, it’s the whole weekend. When you arrive and you drive for Ferrari there is the support from the fans, therefore in the hotels here and in the paddock. There a lot of activities in this week for our team. We are a little busier here than on some other races. When you win and you see all the start-finish line full of the tifosi on the race track, really being so happy that one red car won that race. An Italian car won the Italian Grand Prix once more. It’s a very special feeling. In 2007 it was like winning a normal race at another circuit. The reaction from the tifosi was not the same. Q: (James Allen - Financial Times) Yesterday at Pirelli, there was an interesting discussion about whether maybe next year teams could chose which two compounds Pirelli would bring for them, rather than Pirelli saying ‘we’re going to bring this and this’. You could actually chose, say a month ahead: ‘we’d quite like this one and this one.’ I would like to ask Mark and Fernando, as two front runners, whether you think a) it would change the racing very much, b) would most of you probably go for the same thing in the end? What’s your initial feeling about that? Could it be a good thing? MW: It obviously throws a little bit more into the mix. It would not be easy to pick (the tyres) a month before, in terms of allocation and what specific venues might need, but there’s enough data to float around so that you could probably get quite accurate with what your car would need. Obviously, that’s what the teams would be targeting. Clearly Ferrari, at some venues this year, would probably take a different type if they could but they don’t have that luxury at the moment. It’s the first I’ve heard of it, not easy for you guys to explain in terms of commentary… I suppose different people having different problems with tyres. But, yeah, not a stupid idea but obviously it needs a bit more thought to see how it would work over the course of a full season, and obviously for the lead teams to make the decision… it’s another part of our week in that we would have to make a decision, as we have to do with lots of other components on the car. The compounds would be another part of that mix. Q: (Julien Febreau - L’Equipe) What do you think about Lewis Hamilton’s driving style, in terms of aggression, and do you consider that he’s too aggressive? MW: No, he’s not that aggressive, he’s OK. He’s just had a tough run in the last few races. KK: I think he’s OK as well. Maybe I think you need to be aggressive when you’re racing. 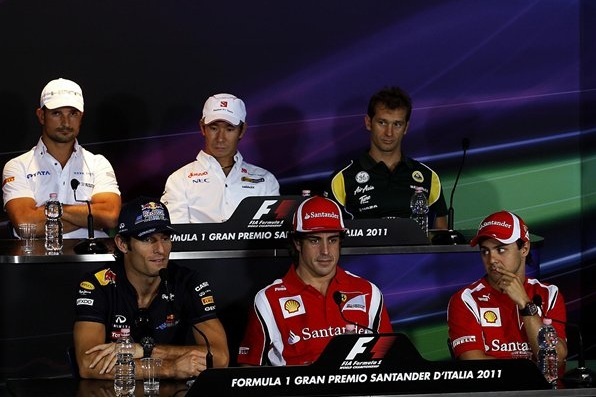 Q: (Anthony Rowlinson - Red Bulletin) Fernando, obviously this year we may get a double World Champion in Sebastian. I would like to ask you what it was like to win two titles, back-to-back in ’05 and ’06, how difficult that was, and also how you felt when you’d done it the second time? FA: Well, the feeling is fantastic, no doubt. I think that when you win your first one, it’s something that it’s difficult to believe. You need some time to realise that you are World Champion, and maybe you enjoy the second one more because you race each weekend leading the championship with a big advantage as Sebastian has now, and you probably enjoy every race more and every win and every podium tastes differently. You are no longer so focused on being World Champion in Formula One. Now you are much more open, much more relaxed and you enjoy it more. So the feeling is nice. Obviously for me, both championships were fantastic, very different comparing 2005, 2006 with a little bit more advantage in 2006. Three races to the end, it was OK and then in the last one it was very tight with Michael; until the last race we were on equal points so it was different feelings and I’m sure that for him (Sebastian) it’s the same. 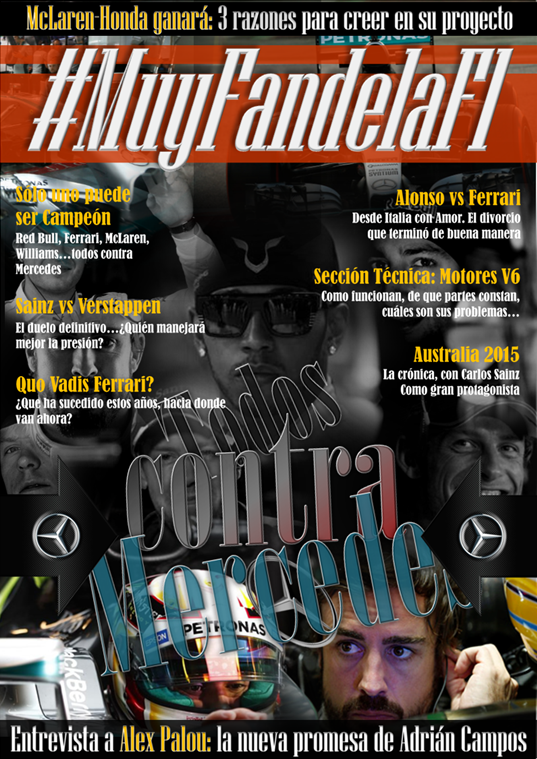 Last year he arrived third (at the last race) and the first time he led the championship was after Abu Dhabi. This year, he’s leading the championship from the beginning to the end. I’m sure that it’s also very different for him. Q: (Gary Meenaghan - The National) Jarno, you mentioned yesterday that you think Ferrari can sometimes be a constraint to the development of Italian drivers. I was hoping that you could maybe expand on that a little, and to Tonio, if you agree with that. JT: I think only an Italian driver can understand this feeling because Ferrari is a unique team. It’s a myth and as an Italian in a way, we all have to be proud about that because there is nothing close to what Ferrari is around the world. But unfortunately for any Italian driver, it makes life a little bit hard – I’m saying in motor sport, not only for a Formula One driver but in motor sport because obviously mainly when you’re born, you don’t know about Formula One or what you do know about Formula One you know about a red car. That’s what Formula One means for any Italian family and young guns and drivers. And this takes a lot of attention away from the motor sport and growing young drivers. So on one side, it’s very good because, as I said, we have to be proud about that, because there is nothing and no one close to compare with Ferrari around the world. On the other hand, it makes our life a little bit hard, but honestly, I’m lucky in a way, because I made it to Formula One and I have never really suffered from that, because I’ve dealt with it pretty well. I actually get on well… I’ve always had a very good relationship with Ferrari even though I’ve never driven for them, but I don’t have any feeling of what… it’s just a matter of understanding what is motor sport and Formula One in Italy. VL: I agree completely with Jarno. It’s more difficult, for sure, because you are a bit more in the shadow, but he covered all areas, you could say, so I completely agree with him. 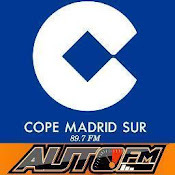 Q: (Silvia Arias - Diario Libre) Mark, you’re in second position in the championship this year but you haven’t won a race yet. What are your feelings about that, and your chances for this weekend? MW: Yeah, it’s disappointing that I haven’t won a race yet this year but I’m sure it will happen before the year’s out. I’m confident of that. I’ve been very, very strong and consistent which is also not always easy. You have many opportunities to make errors and mistakes but I’ve also done things that I’ve been very proud of this year but the victory hasn’t yet happened. I’m sure it will come. I’m not getting too fired up about that to be honest. Like Nurburgring, you know. It comes when you least expect it. If it’s this weekend, no better place to start than in Monza. Q: (Alan Baldwin - Reuters) Next year’s calendar has come out since the last race and there is no Turkish Grand Prix and Bahrain is back on again in April. I just wondered about some thoughts on that, what you feel about ostensibly Turkey not being back on the calendar. Is that a loss to Formula One? FM: I think there’s one more race. We were supposed to do 20 races this year already, we didn’t for different reasons. It will be a little tighter, more races, more races on successive weekend. It’s OK. We are here to race so let’s go and do one more race without any problems. We’re no longer going to Turkey any more; it’s a place where I won three times, so it’s especially a nice track for me, but unfortunately we’re not going. But we’re going back to Bahrain; it’s a place I also enjoy to race and we’re going to the US again, so I hope we have a very nice track to race on in America. Nothing more to say. 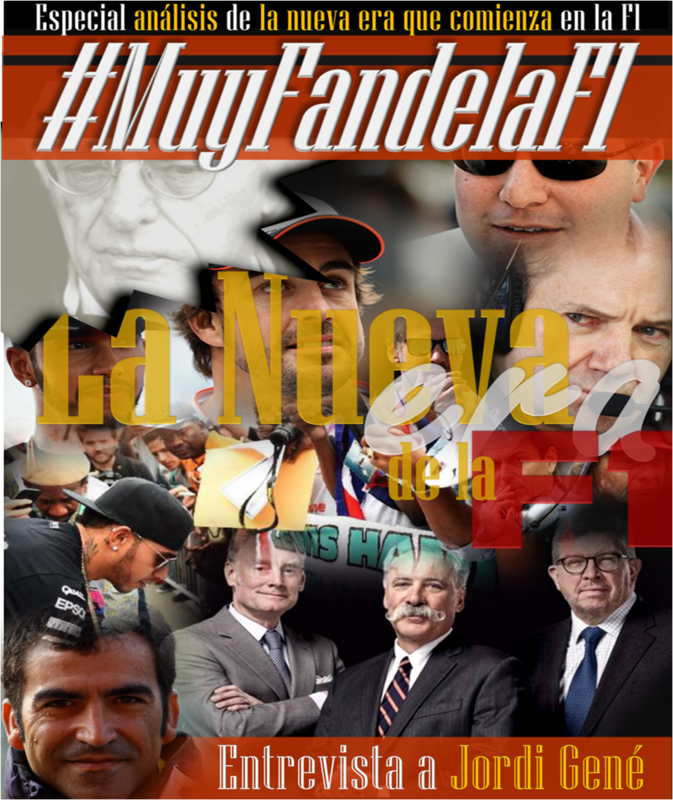 Q: (Adrian Rodriguez Huber - Agencia EFE) Fernando, are you as comfortable now as Stefano Domenicali is about next season and given that this season the title is almost impossible, how many victories would make you happy from here to the finish of the season? 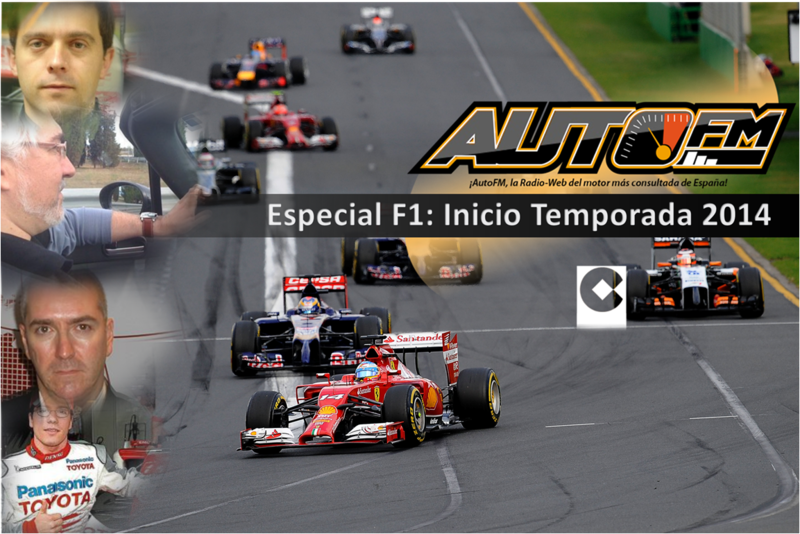 Publicado por LOGANQR en 9/08/2011 07:12:00 p. m.